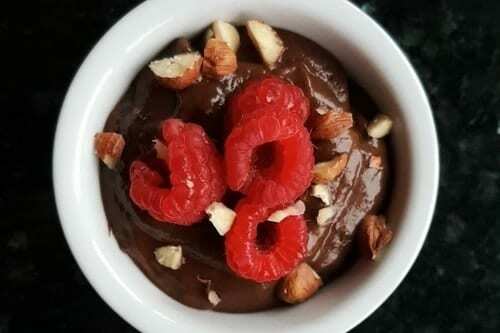 Get ready to drool over this chocolate mousse! Place banana, avocado, dates and cocoa in a food processor and blend for 1-2 minutes until smooth. If the mixture is too thick then add a teaspoon or two of almond milk and blend for another 30 seconds. Spoon into bowls and top with berries and chopped nuts.